Sunshine and warm temperatures have graced Mason County this week. Many residents have been visiting their local parks to take walks, catch some fish, and simply spend time with their families in the seasonal weather. 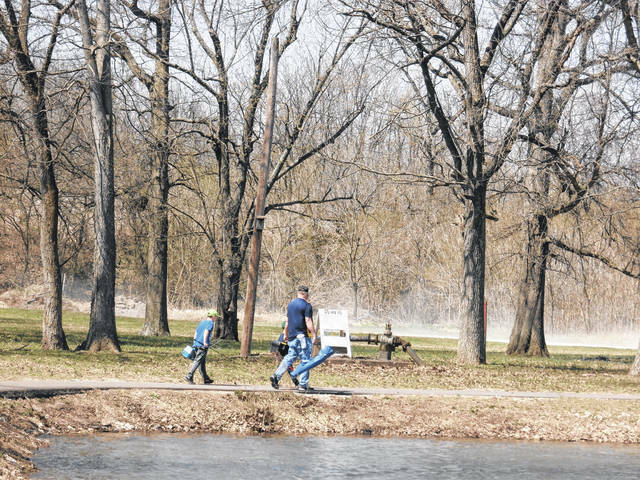 Pictured are some local fishermen enjoying their Thursday fishing at Krodel Park in Point Pleasant.